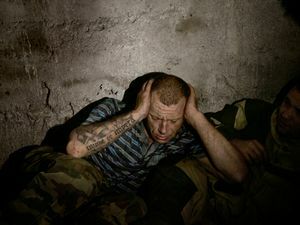 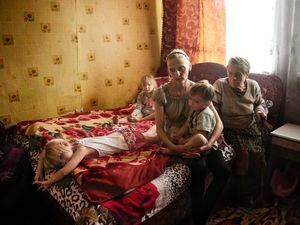 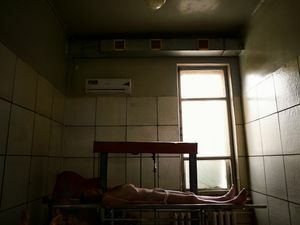 Reportage of the Donbass region in Ukraine. 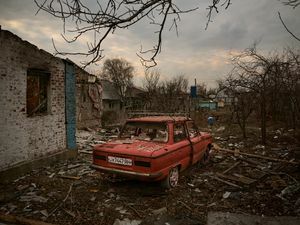 Since 2014 a civil war has torn the Donbass region in Eastern Ukraine. 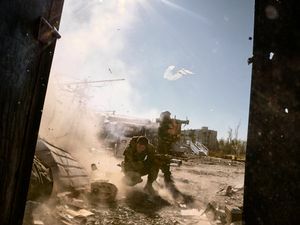 On one side pro-Russian separatist forces have formed the unrecognised republics of Donetsk and Luhansk, while on the other, the Ukrainian government has employed its National Guard and paramilitary troops. 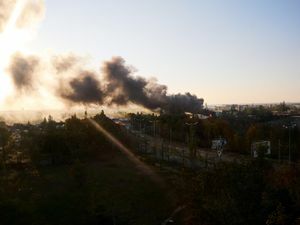 In the same year, the Minsk protocol, a trilateral agreement between Ukraine, Russia and the OSCE, imposed a cease-fire. 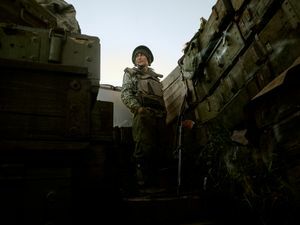 Although it contributed to a substantial drop of casualties, thus far more than 10,000 according to the OCHA, a brutal side-effect has transformed the conflict into a war of attrition, alarmingly similar to the trenches of WWI. 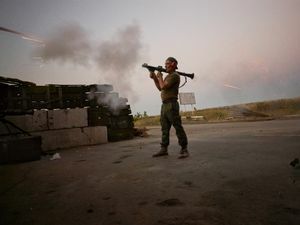 More than 3 million people are affected and 200,000 civilians live near conflict zones (UN report). 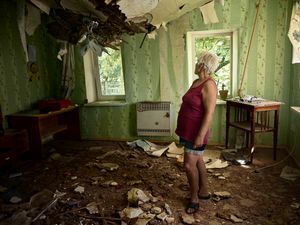 For Donbass’ inhabitants life has changed drastically. 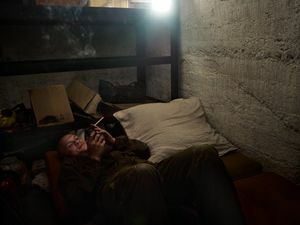 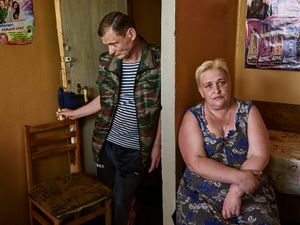 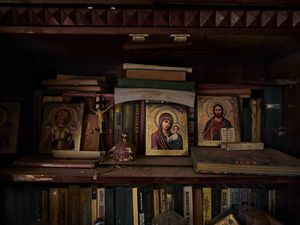 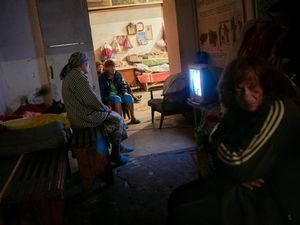 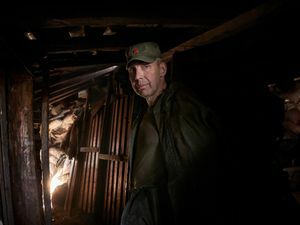 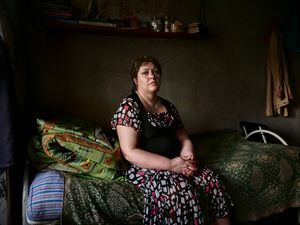 Many elderly and families from the region’s villages have sought shelter in dormitories and Soviet-era bunkers where they share communal spaces and have learned to live together creating a new form of kommounalka. 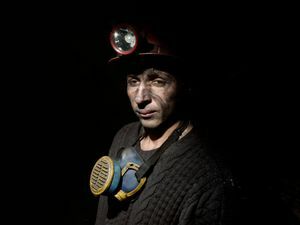 In Torez’s illegal crumbling mines, thousands of coal miners risk their lives daily for wages that barely provide for their families. 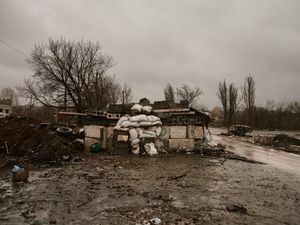 Meanwhile separatist soldiers keep the conflict alive and continue to live in foxholes gaining no territory at all, thus giving the military republic of Donetsk, ruled by Zacharcenko, its only reason of existence. 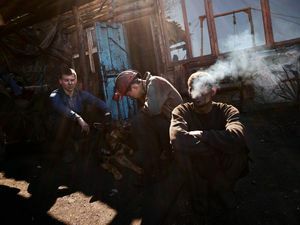 Regardless of the great human cost, the desire to create the vast, independent and Russian state of Novorossia, an immense geo-political project whose boundaries would stretch from Donbass to Odessa, continues, even though for the past three years expansion hasn’t gone beyond Donetsk, where the cease-fire ruled by the Minsk protocol is violated by both divisions. 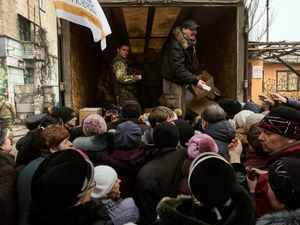 Propaganda persuades people in Donetsk to associate the conflict to WWII. 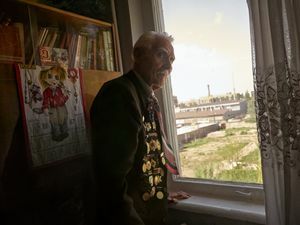 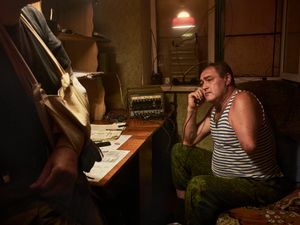 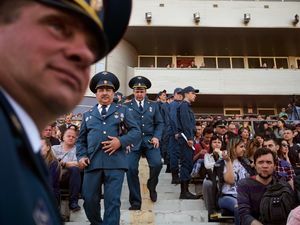 For this reason, the May 9 parade, which celebrates the Soviet soldiers’ victory against the western Nazi-fascist enemy, has gained more and more importance over the past years, and the 11PM curfew reminds people that the conflict is still ongoing. 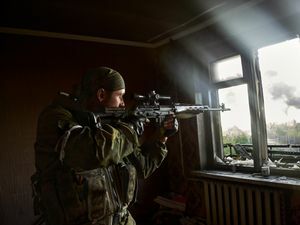 Separatist soldiers repeat to themselves: “our position is their defeat”, but it isn’t hard to see that these are meaningless achievements and that Donbass is destined to a dim future. 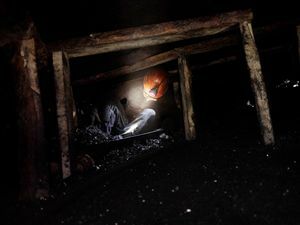 As the soil under the soldiers’ boots is indistinguishable from the mud on the miners’ helmets, the new republics’ endeavour for autonomy produces as little result as the miners’ strenuous work. 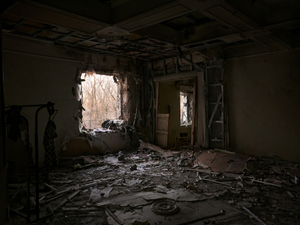 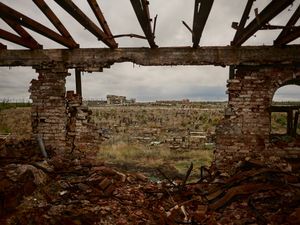 From an important industrial area of steel plants and coal mines, Donbass has become a vast desolate battlefield. 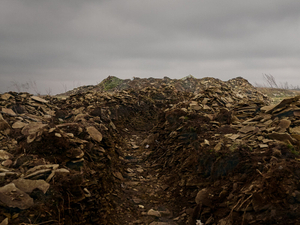 A no man’s land between two enemy lines, between East and West. 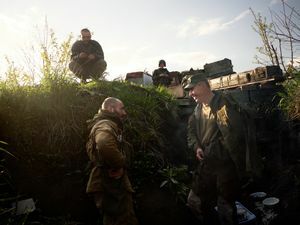 A buffer zone which allows Russia to exercise political and strategic power while revealing Ukraine’s political inconsistency. 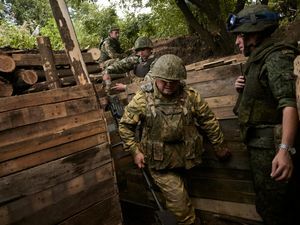 A scene of civil war at the gates of Europe for which the UE and Russia have proven to be incapable of dialogue and of an effective resolution.